I'm not sure if UFOs qualify as retro, but Jason Dietz has crafted a pretty nifty UFO floor lamp that incorporates an Edison incandescent bulb. He writes, "It stands 6 feet tall, with a 24 inch flying saucer on top. The giant plasma ray holds approximately 5 gallons of water. It uses a series of different lights that include CFLs and halogens. The bulb in the flying saucer is an Edison flame bulb, it has quite an awesome effect. The landing thrusters on the bottom of the ship produce a flaming light affect. It produces bubbles from the bottom of the plasma ray upward so it gives the affect of a tractor beam pulling things up into the ship. It produces a mesmerizing ambient glow in any room. There is a human being pulled up into the ship from the giant plasma ray. look carefully to see him in the giant plasma tube. It looks like it came straight out of a 1950s UFO sci fi movie. For more information email jason.dietz<<at>>yahoo[.]com. Can be made to order." 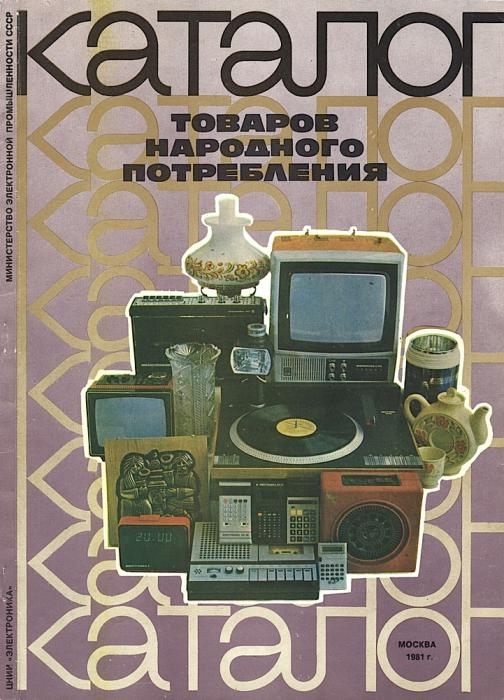 We've written about the alternate universe of Soviet electronics before, but Paul Colella recently sent in a link to a catalog of electronic goodies from the USSR that makes my teeth tingle. The Katalog Tovarov Narodnogo Potrebleniya 1981 paraded the latest and greatest technology. Being able to afford it was another matter. He says, "Our friends over at English-Russia have posted some 1980's Soviet goods p0rn. Most of the stuff looks like American goods from the 1970s but of particular coolness are the electronics. I'd love to get my hands on the portable organ/synth and what I think is some type of mixer." Traditions come in a lot of different forms, and one that has endured for many years is the special little LEGO sets that come out as holiday treats. The sets are very small, easily fitting into a stocking, and have that classic LEGO vibe. None of those giant single pieces that replace many smaller ones, no elaborate special bits. Just doing what LEGO does best, letting you and your kids create a joyous cubist landscape. The set pictured here is from 1989. How it's survived this long without being raided for pieces, I'll never know. The suggested model on the front is great, but the back has some great ideas too... after Santa goes home for Christmas, you can use the same pieces to build an eskimo. Or construct a freight haulin' ship for Santa to use next year if the weather is rough and Rudolph has a runny nose. Lionel train that ran under many Chicago Christmas trees. We've joked before about consultants coming into a successful company, and advising them to massively diversify to ridiculous results. In the 80's Kodak mostly kept it in the ballpark by offering imaging-related products like blank VHS tapes and video8 format cameras, but even back then I snickered at their offering of Christmas lights. They offered both varieties of lights (manufactured by "Minami") - the strings of miniature bulbs, and the big old fashioned kind pictured here. The copy on the box bragged that Kodak Christmas lights were much more vivid and bright, and looked the best in photos. Uh huh... So what is that happened here? Did Kodak accidentally buy a warehouse full of yuletide illumination? Did George Eastman have a cousin Minami with a flagging miniature light bulb factory? Or is this just another case of a respected brand trying to light up a market it has no business in? The new Doctor Who has been delivering Christmas specials every year since it's return. The specials are usually oriented toward folks who don't necessarily follow the show closely. Though if you'd like to brush up on what Doctor Who (old or new) is about before the next special, TV's Craig Fergusen offers a helpful primer in this unbroadcast clip. The final rolls of Kodachrome will be processed on December 30th, three quarters of a century after the introduction of arguably the most important color film of all time. In honor of this fabulous film stock, here's another look at a short film (on Kodachrome, naturally) by our schmalfilm friends Juergen Lossau and Heiko Riemann. Makes you think all the world's a sunny day. Oh yeah. Sure, typewriters are cool. But have you ever been to a typewriter party? Michael McGettigan, a Philadelphia bike shop owner, organized one at a pub in the city's main train terminal, 30th Street Station. The first ever Philadelphia type-in brought together some classic clackers, some drinks, typing fans (including a 16-year-old who blogs via typewriter) and a few puzzled stares from passing riders. The party had an agenda that included a typing contest (competitors had to copy a section of Paul Auster's "The Story of My Typewriter"), consultations with a technician and some letter-writing. McGettigan called it a success and hopes to do another one, hopefully outdoors, in the spring. AtariAge member Cebus Capucinis hand-crafted this lamp from an old Atari 2600 console, a stack or game cartridges and scans of vintage box art. He writes: "A dead Atari 2600 6-switch is used as the base in this model. This model features an in-line "hidden" light switch in the back of the Atari for easy switching on and off and a nice stack of cartridges up the middle with an improved pipe core to keep the stack complete. The wiring for the lamp itself runs out the RF hole from the Atari so it looks just like an actual Atari would. This took at least three weeks of constant work on my part to get done. This model is Monkey Labs Production Model #1 and its owner is none other than Albert, who was my test marketing group! Al says this lamp will be a part of the AtariAge booth at CGE and I am very, very proud to have it displayed there." Cebus produced a limited edition run of 5 lamps, and I suspect he'd be willing to make another if you really, really had to have one for your bachelor pad. Just a quick update on the auctions I wrote about recently. The Apple 1 was sold for more than $212,000, a sum that could have purchased every old brand name auctioned a few days later. 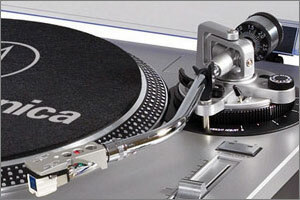 Victrola, highly prized by RetroThing editors, went for $1,000, as did General Cinema. Collier's went for $2,000. The highest bid was $45,000 (for investment bank Shearson). Meister Brau went for $32,500. Infoseek was put together in a single package with Big Yank and the Linen Closet. All three were sold together for $2,000. He recently posted one on quartz watches, which reminded me of an old Hamilton Watch Co. video I had seen, which likewise illuminates the innards of a mechanical watch. So, here you go. This is how a watch works, new school vs. old school. A New Version of Our Clear Classic USB Joystick! When we introduced our Clear Classic USB Joystick last year, it sold out fast. Clearly (hah!) our readers liked our USB joystick like Pac-Man likes power pellets. Now it's back in two versions: Rogue Red and Blizzard Blue. We made only 500 of each, and this is the last batch we're making -- so get them while you can. When you plug the stick into your computer's USB port, it lights up with a brilliant red or blue glow that illuminates from the inside out. Even the circuit board at the heart of the stick is colored to match. Many people are rediscovering retro gaming thanks to a PC or Mac, but playing 8-bit games with a modern gamepad just isn't the same. With our Clear Classic USB Joystick, you'll be playing retro games the right way. The Clear Classic USB Joystick package is the perfect partner for the Stella Atari 2600 emulator (free download). It's also compatible with almost any emulator that runs Atari, Amiga and Commodore software. It even supports the MAME arcade emulator and modern games that work with a standard USB d-pad. The Clear Classic stick was designed and manufactured in the USA – the old-school way of doing things. We're really pleased with the result, and DIYers will be happy to hear that the USB controller board can be removed from the case and used as a standalone control interface for a MAME arcade cabinet or homebuilt game controller. The board includes labeled solder points to connect a 4 or 8-way arcade stick and several additional controls such as authentic arcade buttons. The complete package includes the stick and -- if you order before Christmas -- a high quality 6 foot (1.8 m) clear USB cable that regularly sells for $4.95. You can download the Stella Atari 2600 emulator for free, and hundreds of classic 8-bit games are available on AtariAge. This design is a limited edition of 500 red & 500 blue sticks that will sell out very quickly, so order yours today! Visit our Clear Classic USB Joystick page to order or order from Amazon.com with red or blue LED and select Standard Shipping to receive them before Christmas (USA only). Matias E. writes, "I found an item from Germany which I think might be of interest. It's a battery driven shortwave tube radio kit which can be assembled in just a couple of hours. I have built one and it works surprisingly well, even with an antenna of just 5 meters length (usually not really enough), I was able to receive broadcasts [in Finland - Ed.] from as far as China, India and the Middle East in good quality. The kit costs about 49 euros (I found mine for a bit less) and it contains all necessary parts (except batteries) including chassis (made of laminated cardboard, remotely looking like wood) to build the radio. The receiver part of the radio uses a 6J1 tube, which is an equivalent of the European EF95, but for the amplifier section, they have used an IC instead of a tube, which of course some purists might consider to be a compromise, but otherwise an output transformer would have been necessary and it also might have been difficult to get the radio to run solely on batteries, 4 AA cells to heat the filament and an additional 9V battery in series to create an anode voltage of 15 Volts." We featured Matt Sarnoff's Terminalscope earlier this year. Now he's back with a complete system. He writes: "I've designed my own 8-bit computer, using the somewhat obscure Motorola 6809 processor, wired it all up by hand, and wrote the operating system, drivers, and the rest of the software, all in assembly language. It runs at a blazing 2 MHz, has a spacious 512KB of RAM, and can read files and run programs from a CompactFlash card. So far, user interaction is through a serial cable connected to a PC. Now that's not too bad, but I also went ahead and added vintage sound and video chips I bought on eBay. I stuck in a TMS9918A video chip (used in the ColecoVision, TI-99/4a, and more) and a YM2149 sound chip (used in the Atari ST, the ZX Spectrum, etc.) I've written a chiptune player and a couple graphical demos; my next steps are to actually write some games, and eventually get it hooked up to the internet..."
Matt documented the Ultim809 build with a flickr set and a series of YouTube videos. Visit the Ultim809 page for all the details. When it's the late 70's, and you're Kenner Toys, you're probably doing pretty well with all that cash from Star Wars figures. So you're feeling bold, you want to try new things. After all, Star Wars was a bit of a gamble... who knows what could be the next epoch making toy. Milky the Marvelous Milking Cow, course. It's a toy cow that drinks water from a trough when you pump her tail. Because one of her stomachs is loaded with fake milk tablets, the water turns into “pretend milk” (imagine cleaning the real thing out of her plastic insides) that you coax from her udders. I'm not the only one who finds this more than a little creepy, right? My feeling is that if you're interested in this toy, there's a good chance that you already have access to a cow. Or maybe I'm stereotyping here. Plenty of city kids could learn something from playing with the Resusci-Annie of cows. I also figure that more than a few kids took a taste of the “pretend milk” (which they made a point of mentioning no less than three times in the ad). With the giant success of their Star Wars & other toy lines of the time, perhaps Kenner was in the mood to experiment. With results like these, it was probably best that they waited until the next Star Wars movie.